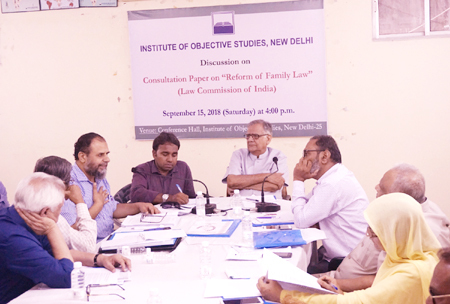 A meeting to discuss the Law Commission’s Consultation Paper on Reform of Family Law, was organised by the Institute of Objective Studies at its conference hall on September 15, 2018. 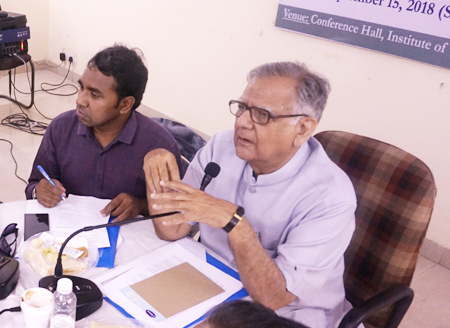 The discussion was initiated by the former member of Law Commission and Vice-Chairman, IOS, Prof. M. Afzal Wani. In his introductory remarks, he said that the response to the consultation paper had been subdued, adding that a law must have honesty, naturalness and accommodation for plurality and diversity. A number of issues regarding personal law had been raised in the consultation paper prompting the need for further research. In this case, several judgements of the Supreme Court must be utilised, besides the Quranic guidelines and injunctions. Regarding marriage, he said the 1400-year old history of Islam showed how to approach this institution. Islam provided structural solutions to problems arising in marriage. This solution was worth emulating by other communities as well, because the Islamic law was derived from divine guidance. He admitted that divergence was bound to crop up while discussing personal law. On dispute redressal, he said extra-judicial resolution could also be allowed. As far as adultery was concerned, it was not acceptable and could be a ground for separation of spouses. Referring to the criminal law, he said that it was a public law and different from the personal law. Criminal law could not be imposed on family issues unless there was an element of public welfare in it. 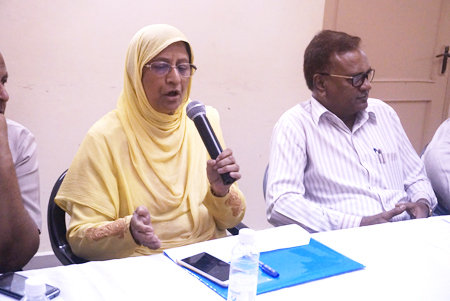 Prof. Wani said that the paper circulated by the Commission was meant for reformation and community leaders must go into the suggestions in the light of the constitutional provisions. With regard to polygamy, he said that it was a matter of satisfaction that compared to Muslims, other communities had a greater number of polygamous marriages. Commenting on adoption, he noted that there was no point in bringing in a law when the Shariah was clear on it. Maintenance was an issue that defied solution, though several tribunals had been set up to resolve it. Law alone could not solve all problems because cases would continue piling up. Thus a firm stand should be taken on the Shariah and it should be defended, he said. 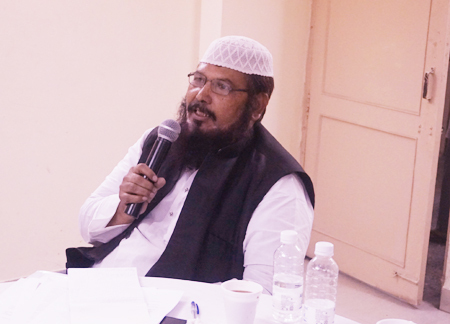 Former Professor of Law, Amity University, Khwaja Abdul Muntaqim, in his presentation held that when the law panel had itself accepted the diversity of personal laws, how could a uniform civil code could be enforced in a country where the Hindu society itself was divided among different schools of thought. He said that the Supreme Court too had ruled that consensus must be reached before deciding to enforce a uniform civil code. Thus there must be no cause for imposition of a law. Regarding adoption, he said that paternity would continue to weigh heavily in the case of Muslims. 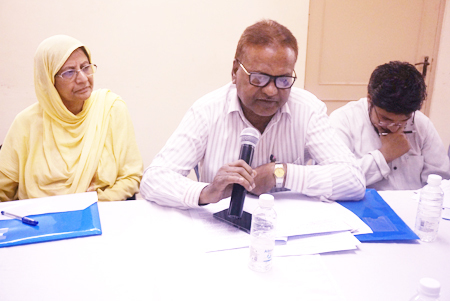 Prof. Eqbal Husain of the faculty of law, Jamia Millia Islamia, suggested that family law should be discussed with Justice A.M. Ahmadi since the issue had been raised several times, but to no avail. Practice of family law among Muslims was based on religious tenets. This being an integral part of the Shariah law, the ulema must come forward to specifically spell out the provisions according to the Qur’an and the Hadith. Referring to Part IV of the Constitution, he said that the Directive Principles of state Policy were not judicable and thus the Law Commission’s recommendations were not mandatory, but recommendatory in nature. He expressed the apprehension that the Law Commission’s recommendations might be used by the ruling party to take political mileage out of it. 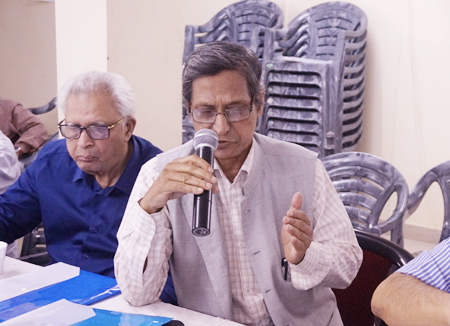 Prof. Hasina Hashia, professor of Geography, Jamia Millia Islamia and Asstt. Secretary General, IOS, deprecated the practice of halala which was still prevalent among miniscule group of illiterate Muslims. Describing the practice as a form of exploitation of Muslim women, she said that this was still practicised. Owing to this ill-practice women were in pain. She urged the ulema to give a serious thought to the issue and take a pro-women decision. Asrar Ahmad, advocate, stated that Muslim community was being asked to shun rigidity which simply meant abandoning our cultural ethos. This clearly indicated the government’s intent to interfere with Muslim religious and cultural practices that were protected under Article 18 of the Indian Constitution. Supreme Court lawyer Mushtaq Ahmad held that a Uniform Civil Code could not be enforced as several communities among Hindus would oppose it because of their belief in the existence of 33 crore gods. He called for seriously studying the Law Commission report in order to understand its nitty gritty. 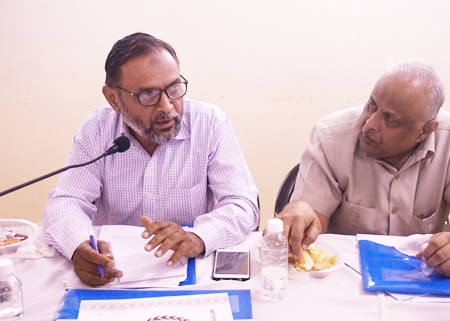 President of the Welfare Party of India, Syed Qasim Rasool Ilyas, informed that the All India Muslim Personal Board’s delegation, of which he was also a member, met the law panel seven times. Adoption was one of the issues that came up for discussion, he said. He opined that while pursuing the case of triple talaaq, the views of Hanafi and other schools of Islamic thought must also have been put before the apex court. He also regretted that Islamic scholars avoided participation in discussions on issues relating to Islam on television channels. 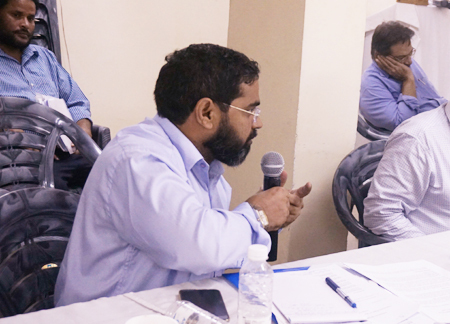 Mohammad Kazim Sher, advocate, pleaded for confining the discourse to the issues that affected the community most. Secretary, All India Muslim Majlis-e-Mushawarat, Maulana Abdul Hameed Nomani, complained that Muslim leaders failed to properly present the case before the court. According to him, Muslim women had three powers to annul as against one held by a husband, talaaq being one of them. He denounced halala and said that it had no existence in Islam, neither in the Quran nor in the Shariah. Currently, the practice of halala was a crime and attracted penal provision. While asking the AIMPLB to categorically state that the offender of triple talaaq must be given punishment, he said that it existed only in the Hanafi school of thought. He urged the ulema of all schools of thought not to set themselves on the course of confrontation and put up a brave front. 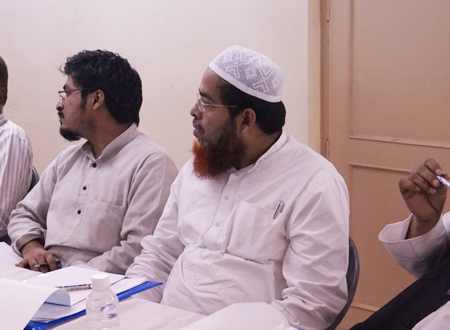 It was also needed to dispel the popular misconception that the ulema were united against Muslim women. He also asked for the compilation of rules on marriage, adoption, succession, etc. 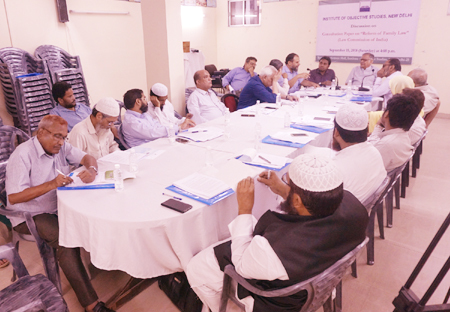 Dr Mufti Obaidullah Qasmi, from Delhi University, observed that personal law formed a part of Muslim religion and since it was divine, it was inviolable. He said that Islam was backed by rationality and logic. 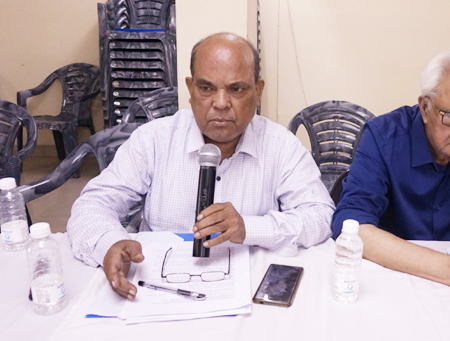 Dr Mohammad Qasim, HoD Arabic, Zakir Husain College, Delhi University, remarked that halala was an Indian practice and found nowhere else in the world. He asked the ulema to unequivocally declare triple talaaq a crime. Shams Tabrez Qasmi, chief editor, online news portal Millat Times, insisted that talaaq was a religious and social issue. 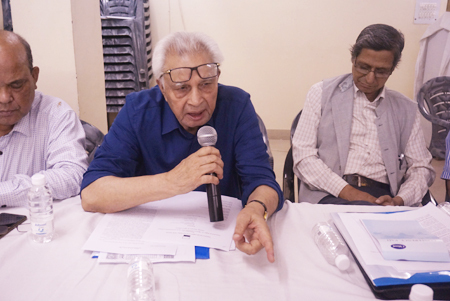 IOS Secretary General, Prof. ZM Khan, who chaired the meeting, expressed apprehension that the consultation paper was a trap laid to politicise the issue in order to garner votes. 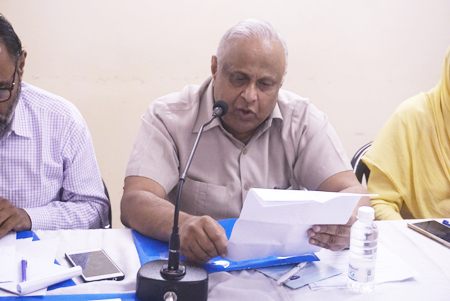 The exercise was timed to coincide with the approaching parliamentary polls in 2019. The intent was to provoke the reaction and use it to polarise voters. Thus, it was up to Muslims to read into the plot and not to bite the bait. It was high time to sit together and deliberate on such issues and try to reach a consensus. It something was deficient, it must be complemented by others. He said that the IOS had been sharing its concerns with scholars, social activists, NGOs and other stakeholders by regularly interacting with them. He informed that the suggestions received from them would be compiled and a decision to work on them taken. Earlier, a verse from the Holy Quran was recited and translated into Urdu by Hafiz Athar Husain Nadwi, Asstt. Professor of political science, Dr. Zakir Husain College, Dr Aftab Alam, conducted the proceedings and proposed a vote of thanks.